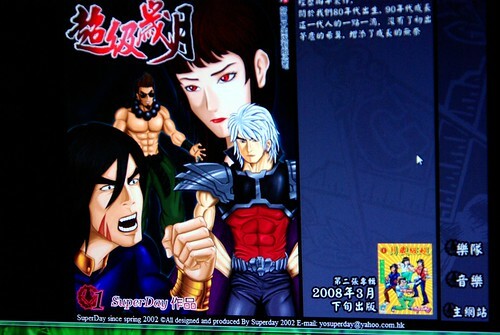 SuperDay is a band from Hong Kong, which I discovered through the AMK cover album. They are a cool sweet cutie rock band, reminiscent of Tai Tau Fat, another Hong Kong band with squeaky vocals. SuperDay were formed in 2002 by band members Superman and Brian. They were joined by Kwok Chi and Regine, specialist of the “cute female vocals”. Two years later, she dropped from the band, and was replaced by current member Winnie. I like Lost In Supermarket, which refers to local Hong Kong supermarkets in its lyrics.